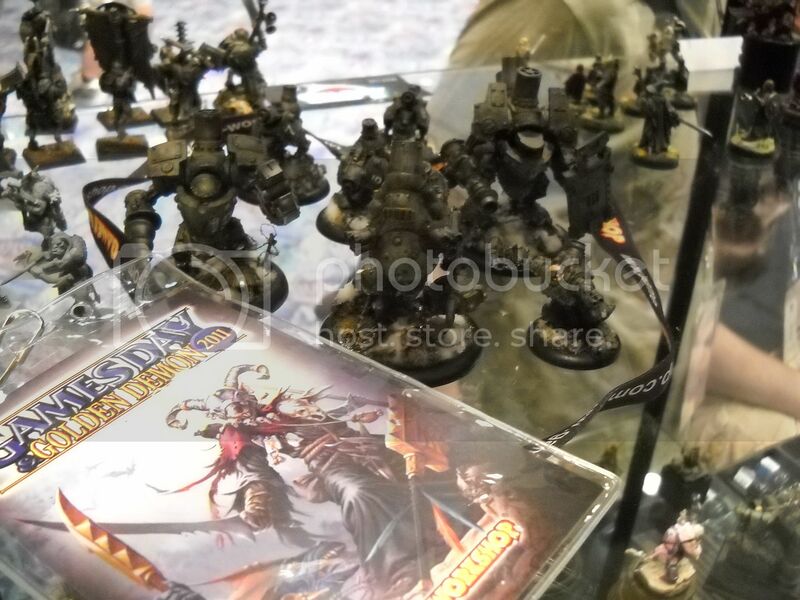 Gorten.... at Games Day? Yep - neat huh?! 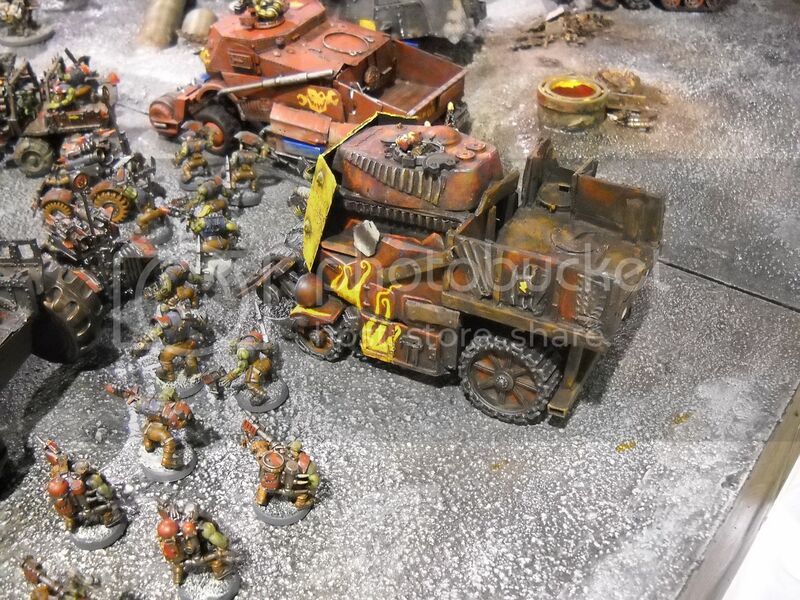 See one of the great things about GW's Painters area is that they allow us to show off our craft without prejudice - meaning I was able to bring along several recent example of my work even though it wasnt GW IP. 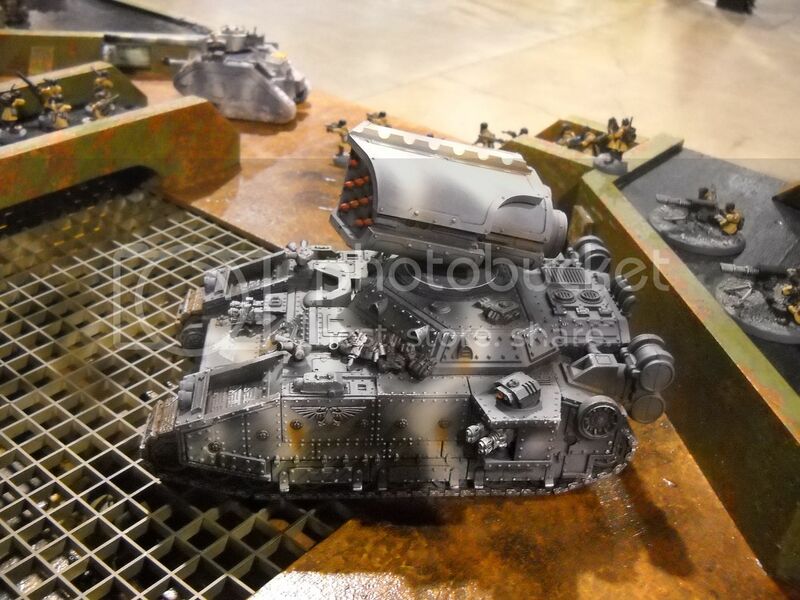 Though inelligible for the deamons, I was still able to bring along the Rhulic models I have been working on recently and really use them as finished examples of the weathering and damage techniques I was demonstrating on a GW Rhino model throughout the day. 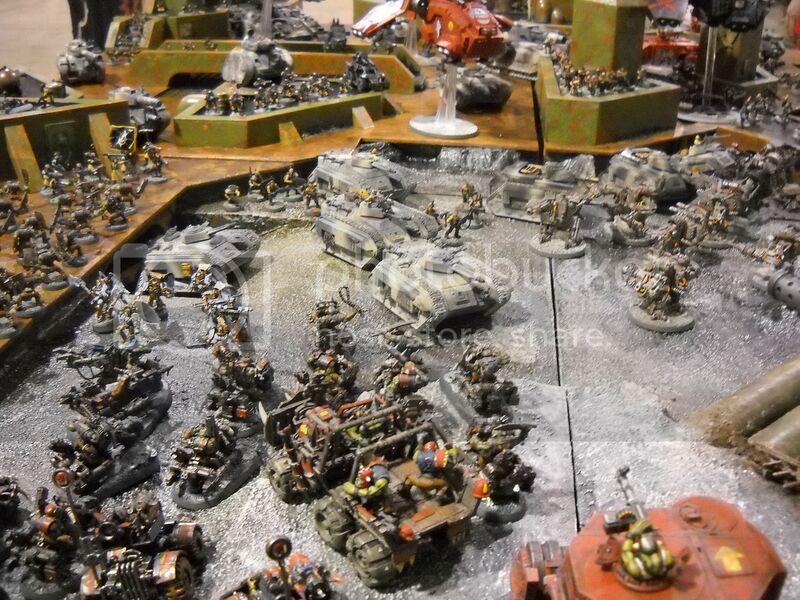 Admittedly it caused a few gasps and drew a bit of surprised attention from several gamers - but all in all it was clear that they were just great examples of painting techniques. It was really awesome to have several people come up and tell me that they had followed the creation of these on my site - and all felt they were even better in person. That is a very satisfying thing to hear. 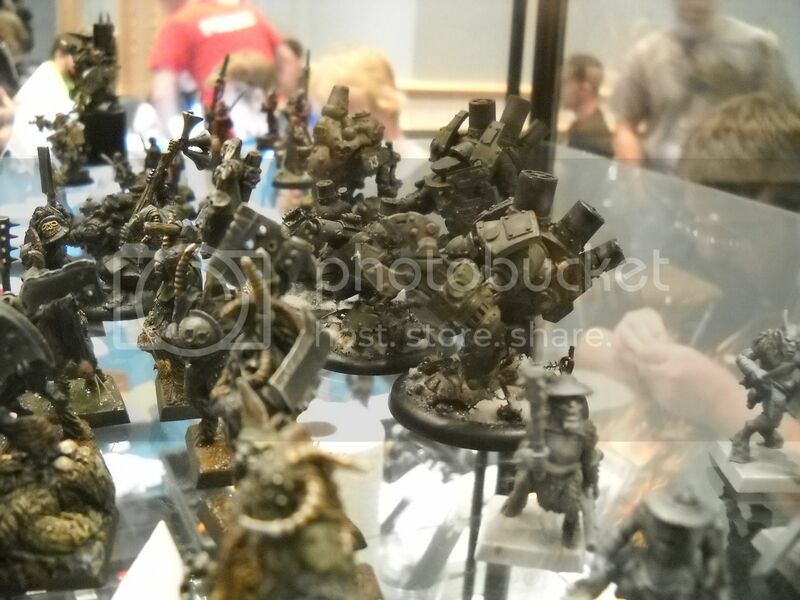 The last batch of pics I have from Games Day North America 2011 are some of the most important. 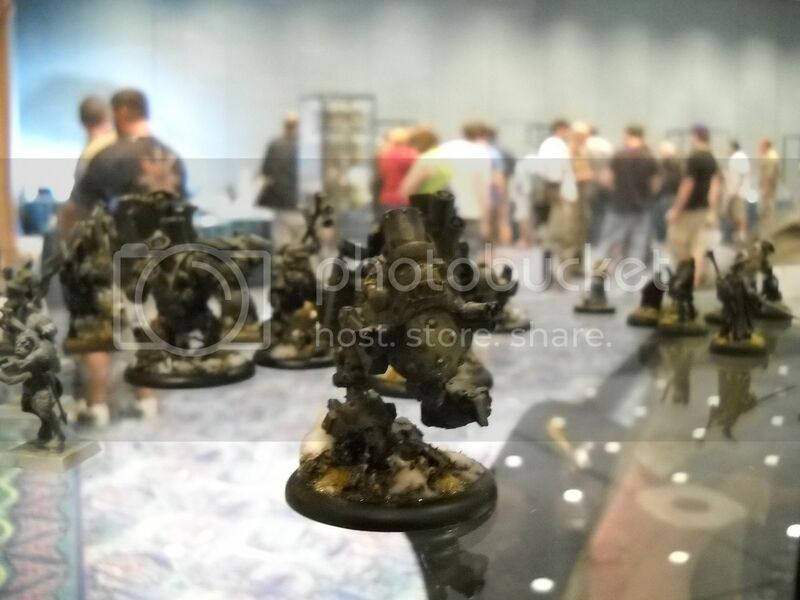 As I posted here a couple months ago, my teammate Dave taylor was one of a small team who arranged an epic charity event that brought together painters and gamers from around the world. 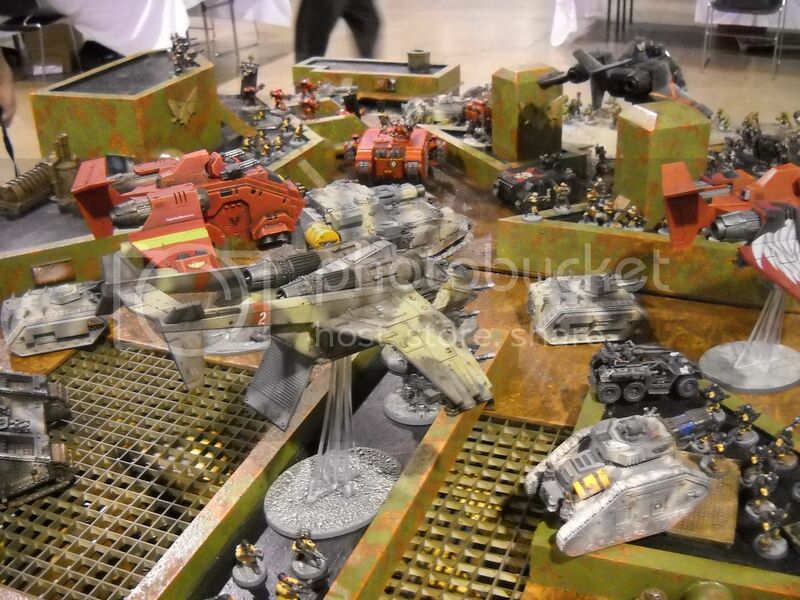 The project was called the Heroes of Armageddon charity project and involved building three armies (representing forces from the Armageddon campaign) AND a multi part display table. 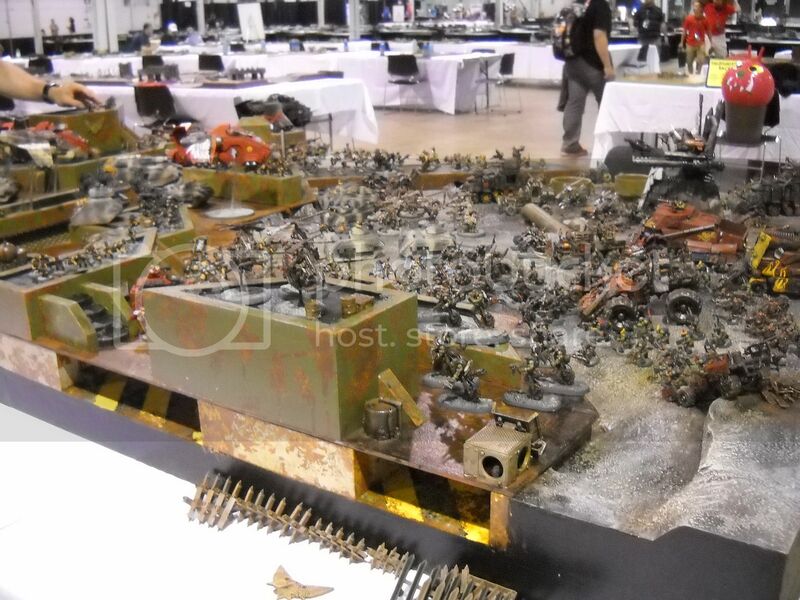 The armies were then raffled off and the tables were sold. In the end more than THIRTY TWO THOUSAND DOLLARS was raised in this heroic effort and was donated to Doctors Without Borders to support their incredible work worldwide. 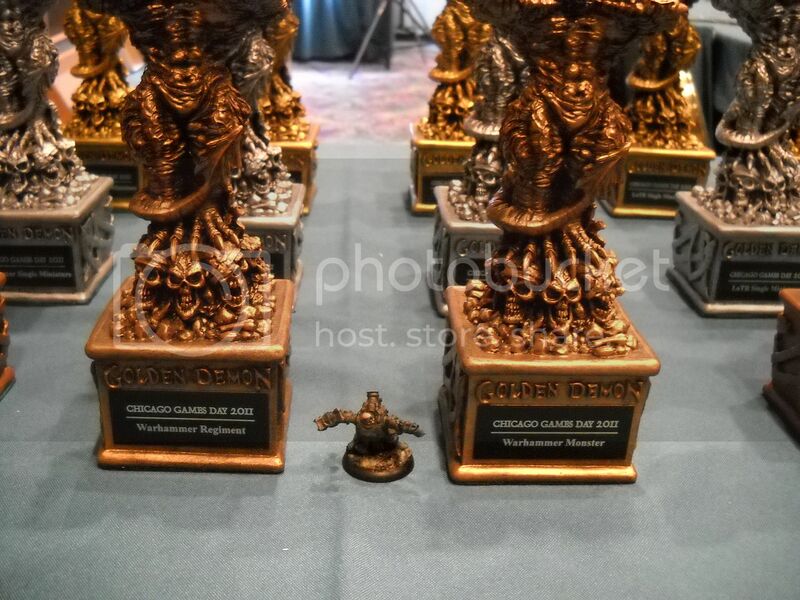 however ,that there is one miniature of note missing from the table - Chris Borer's masterfully painted (and sculpted from scratch) master of Ordinance which won a Golden Demon award was actually a part of the imperial guard army!!!!! 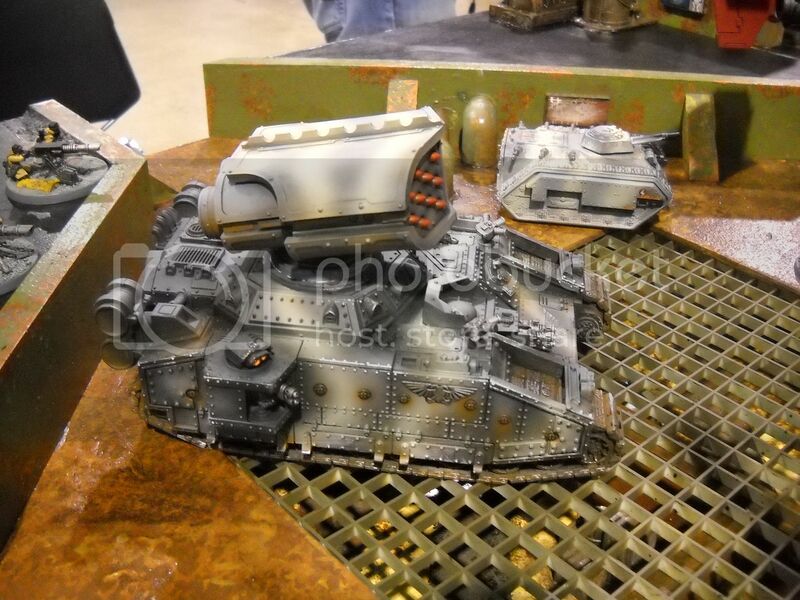 One of my favorite pieces in the army - I want one for my tank Company! 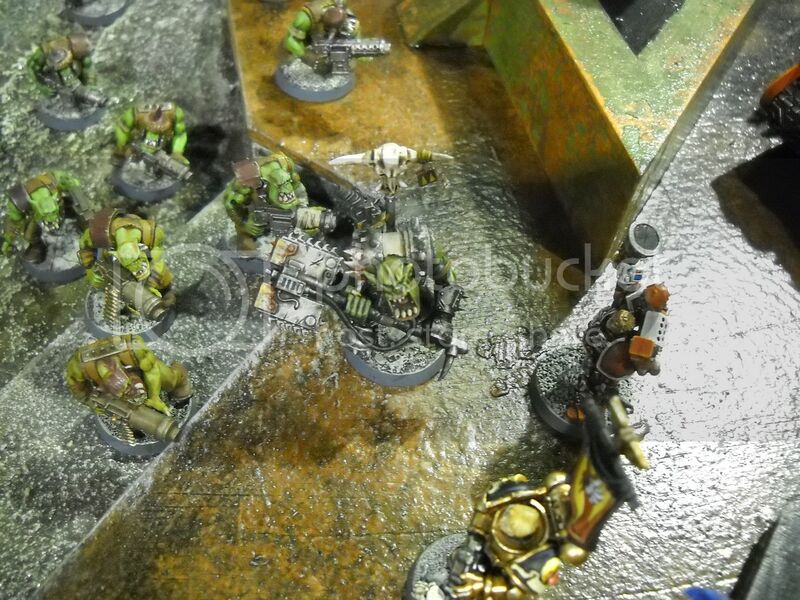 I think this shot nicely shows how well even the hordes and hordes of Ork Boyz were painted! 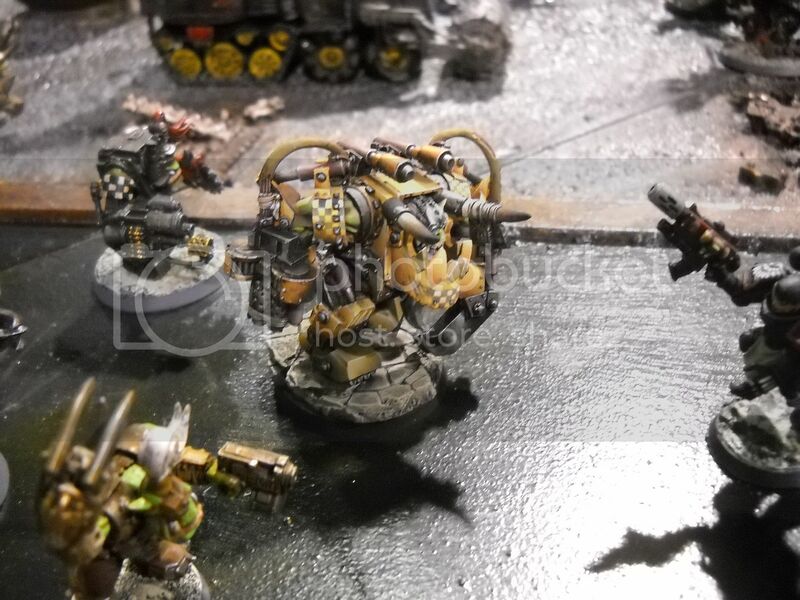 Finally - not to be outdone by the Imperium and their Borer built Master of Ordinance, the Ork hordes were led by Ghazghull Thrakka painted by none other than my friend and masterful painter MATHIEU FONTAINE!!!! Holy crap this thing was nice!!! Well done buddy. Looking through my pics I have a few more left which I will round up into a scenery and terrain discussion post for the future. 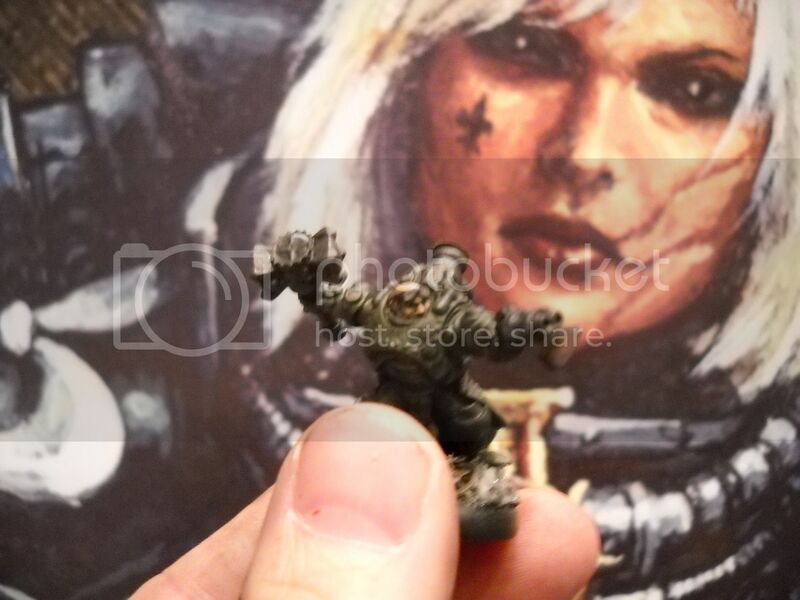 Next week I will run a post about the development and painting of my Golden Demon entries as well as my latest Warmachine escapades!